"I asked Patricia to help create and invitation and thank you cards for a mutual friend’s bridal shower, and they turned out so lovely! She was super easy to communicate with, had everything set up and printed within a small time period, and she even delivered her lovely creations to my home! They were packaged very artistically too. Our Bride could not be happier to receive these in the mail. She adored the thank you cards as well. All of the work Patricia did on these was mostly her idea. She is truly talented." 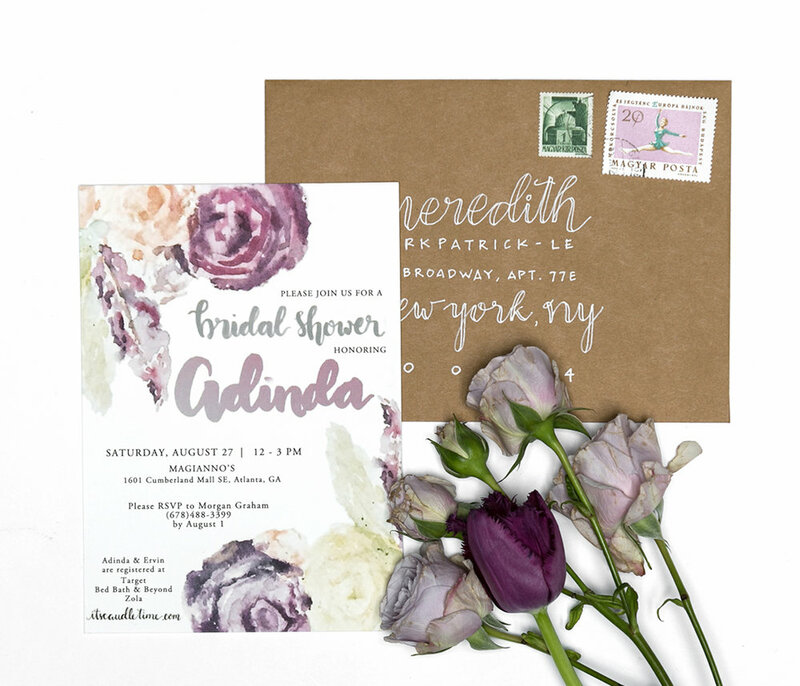 "PatriciaFK designed my entire wedding suite paper goods. I could rate Patricia a million stars if I could! I was such a proud bride-to-be sending out the most beautiful artwork in my wedding invites. She watercolored the most beautiful designs down to my wedding programs. Patricia was very open in incorporating my ideas towards everything, and her creative mind was truly the cherry on top! You'll get the best of professionalism working with her.. and also gain a friend :) I truly recommend doing business with PFk. Work of art made with time, perfection, and love!" "Patricia completely captured the mood of our wedding in Oahu - bright & happy. We received many responses as to how cool the handmade paper texture feels - definitely one of a kind and rarely seen!" "Beautiful and quick turnaround! Patricia and her team were easy to work with. 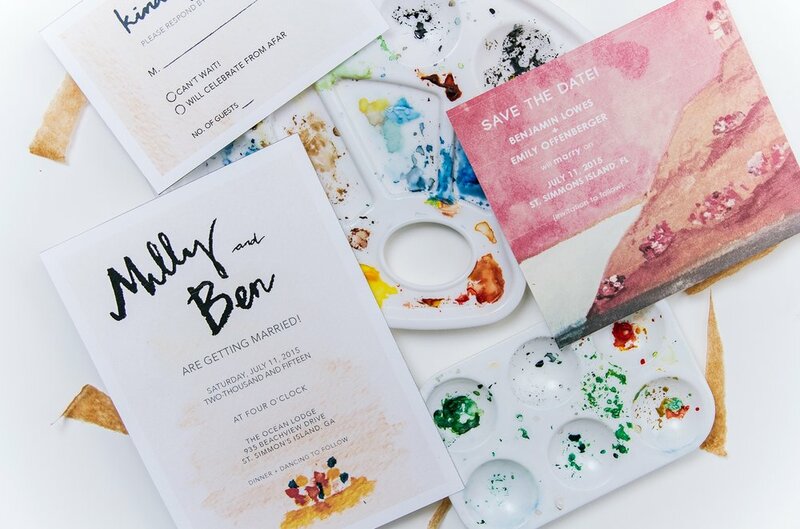 They responded to emails quickly and we felt like our invitation suite really expressed who we are and what we wanted out of our wedding vibe. Lots of compliments on the paper and adorable painting of us!" "Dear Ms. Patricia, just wanted to let you know that my soon-to-be mother-in-law complemented me on choosing to work with you on our invites. 1000x thank you!!" "Patricia designed newyears card of me with my pups. It is just amazing how wonderfully She captured everybody's personalities just from the picture I send her. Thank you PatricaFK for such wonderful illustration. Me and everyone I send this loved it. You are so so talented!" "We eloped, then afterwards my wife and I wanted to throw a party to celebrate with friends and family. We sent photos of our elopement and she [Patricia] basically nailed the essence of our time in San Juan. Definitely will be coming back for future invitation needs." "We were in desperate need of envelopes for our wedding invites ASAP. After deciding against getting the addresses printed on the envelopes by some big run-of-the-mill printing company, we looked for someone local who could handwrite the addresses in a calligraphy style. When I found Patricia, she was super responsive and was quick to help meet my needs! She turned the project around in no time and even personally delivered them to my door. The envelopes came out beautifully and they were exactly what we were hoping for. The helpfulness (bc we didn't know exactly what we wanted! ), efficiency, fair pricing, and more definitely leads me to recommend Patricia to anyone with similar needs!"